Williamson County Commissioner Dwight Jones has been named president of the statewide association of county mayors, highway officials and county legislative bodies. 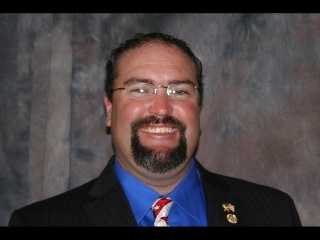 Serving as vice president for the Tennessee County Services Association (TCSA) for the past year, Commissioner Jones will serve now as president until October 2019. He takes over after a year when Dwight Van de Vate of Knox County had served as president. Jones is in his third term as a Williamson County commissioner, having first been elected to the seat in 2010. He is currently chair of the commission’s Property Committee. The Fairview community native is a safety and training coordinator for Middle Tennessee Electric who is active in the Fairview Lions Club. He has also served for a number of years on the board for the Tennessee County Commissioners Association (TCCA). As TCSA president Jones will be joined by TCSA-affiliate presidents Obion County Highway Supt. Gary “Jip” Lofton, who is now president of the Tennessee County Highway Officials Association; Crockett County Mayor Gary Reasons, who is president of the Association of County Mayors; and Obion County Commissioner Richard Arnold, who will serve the next year as president of TCCA. These presidents will serve until TCSA’s 66th annual conference in October 2019 in Knox County.